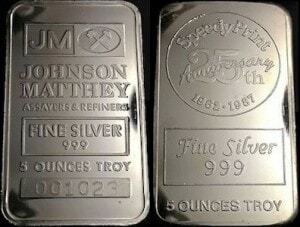 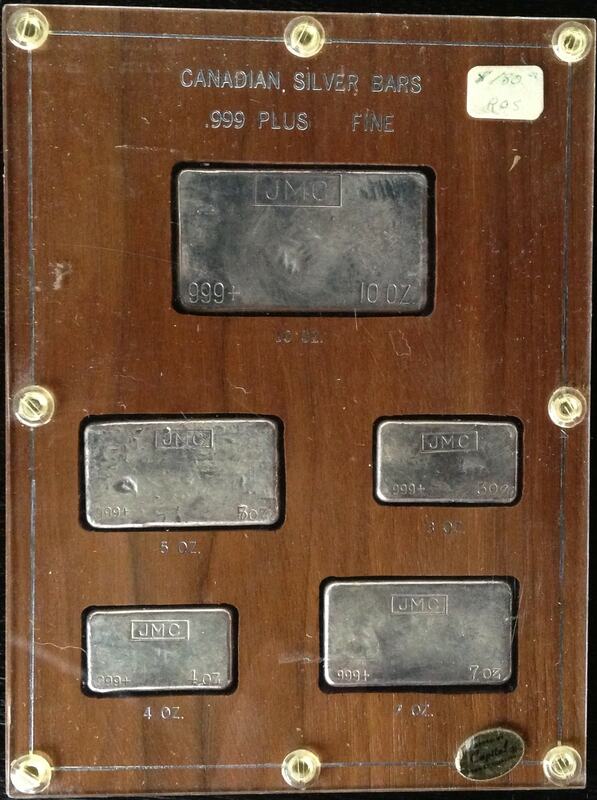 ALL ENGELHARD is pleased to welcome visitors to our Johnson Matthey 5oz Definitive Page. 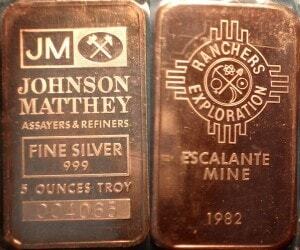 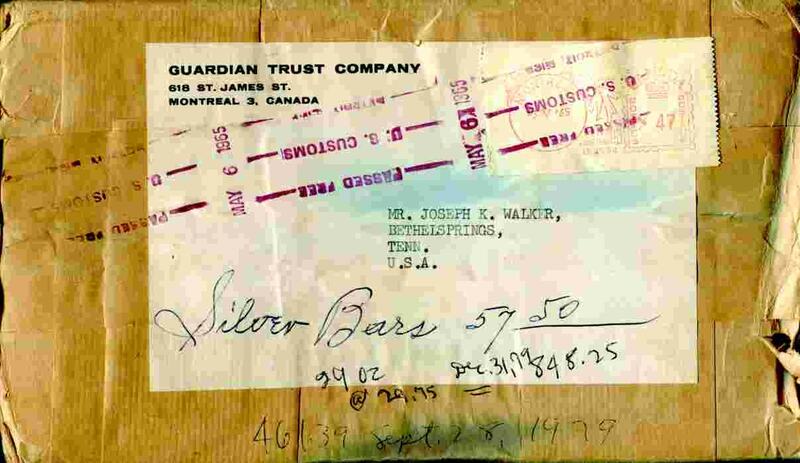 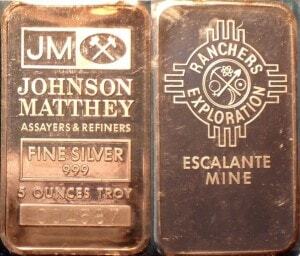 While our focus is clearly Engelhard, we recognize that many Engelhard bullion collectors also collect Johnson Matthey bars and ingots. 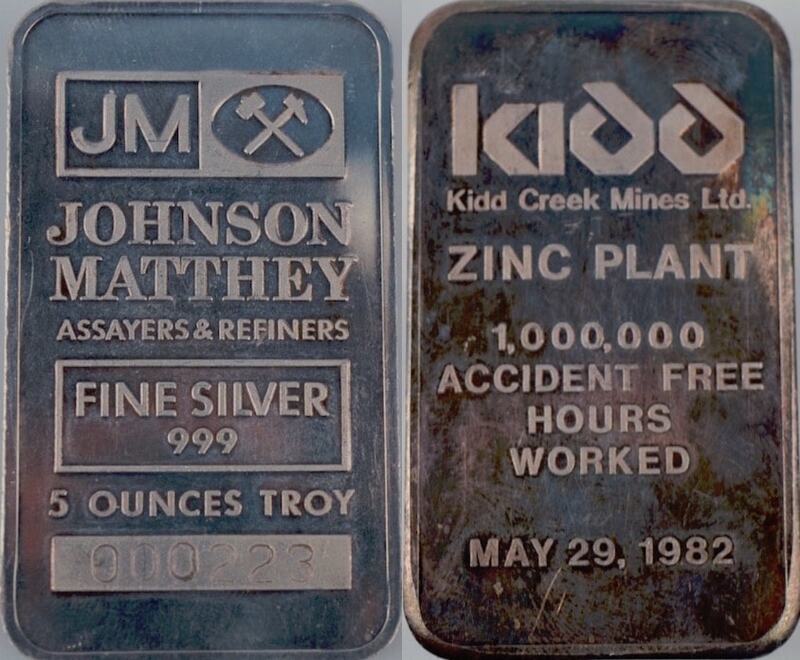 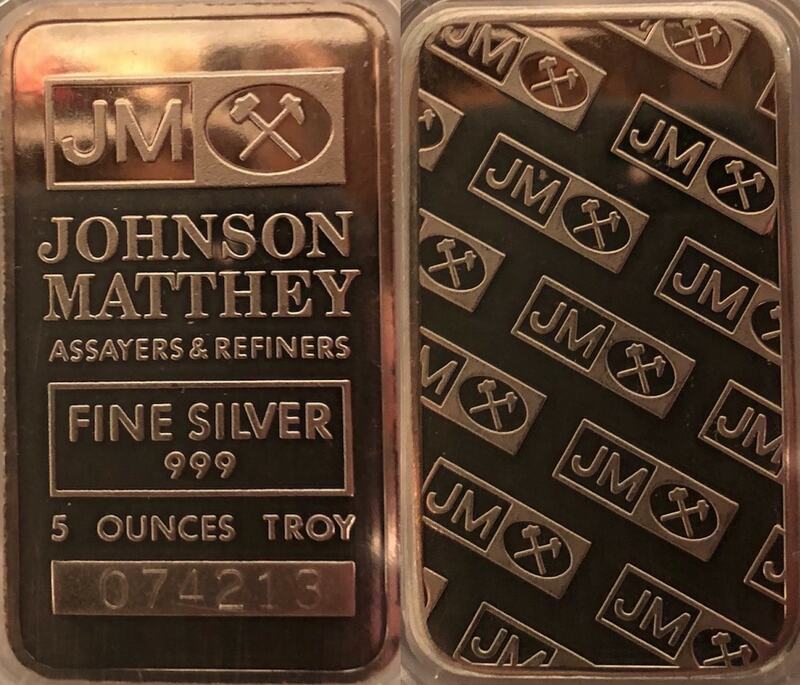 As such, we appreciate the opportunity to present important bullion information on the world’s second most collectible refiner, Johnson Matthey. We hope you welcome this new addition, and we look forward to your thoughts and input! 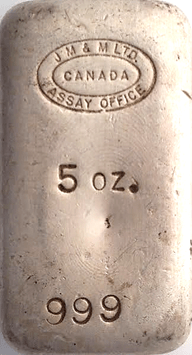 Our Definitives, below, are organized region of origin. 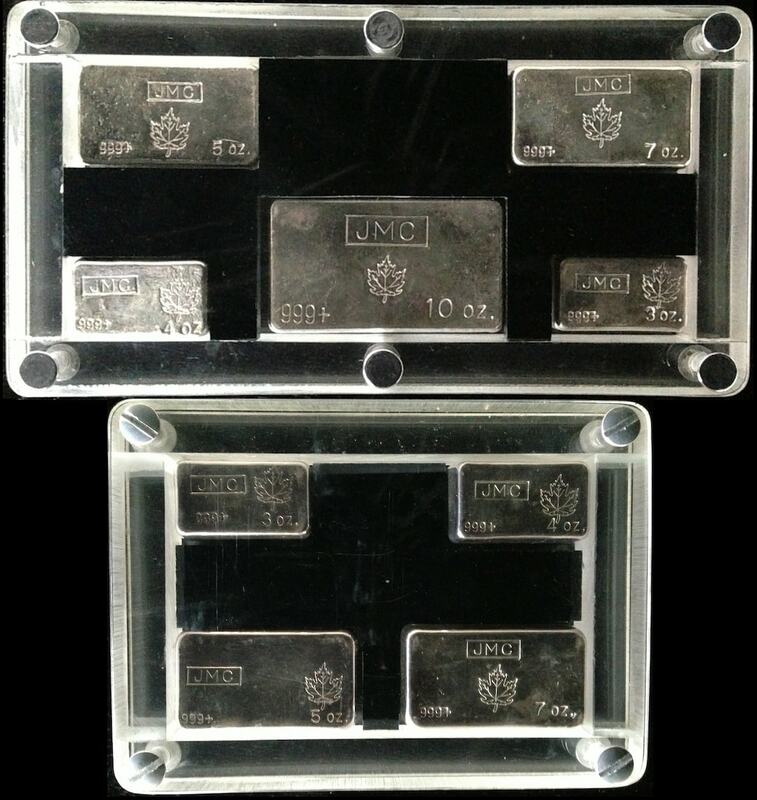 Also note that our Definitives reflect what we believe to be the earliest examples first, followed by more recent production examples. 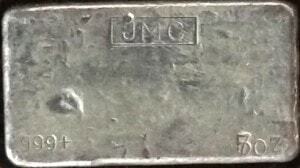 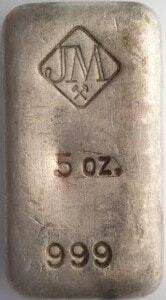 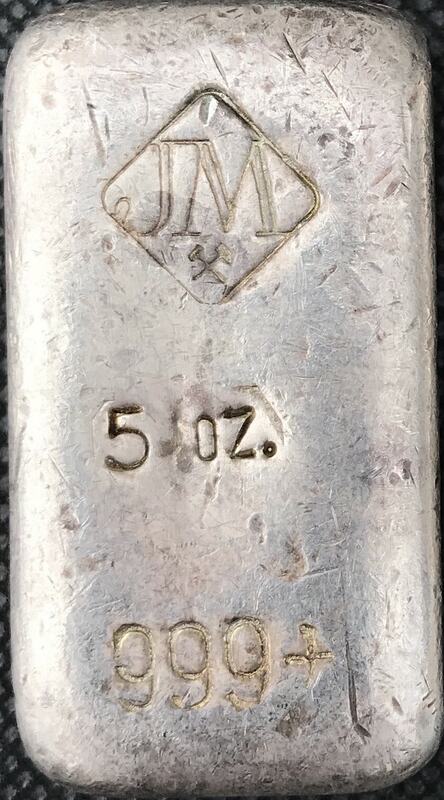 5oz [Diamond JM Logo with Crossed Hammers] [5 OZ.] 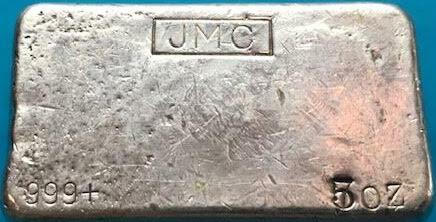 [999+] Cast Finish 5oz example produced by Johnson Matthey, United States. 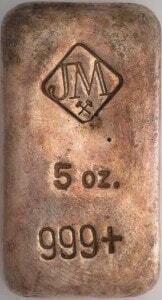 This example is very chunky and is the only ingot that demonstrates the larger diamond hallmark within this weight class. 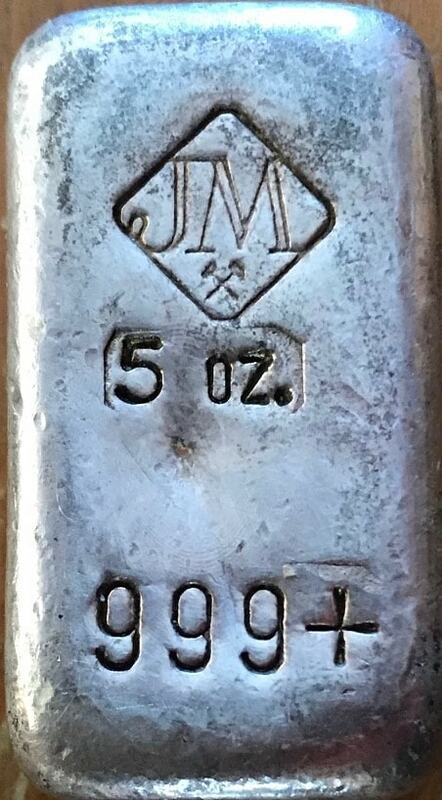 5oz [Diamond JM Logo with Crossed Hammers] [5 OZ.] 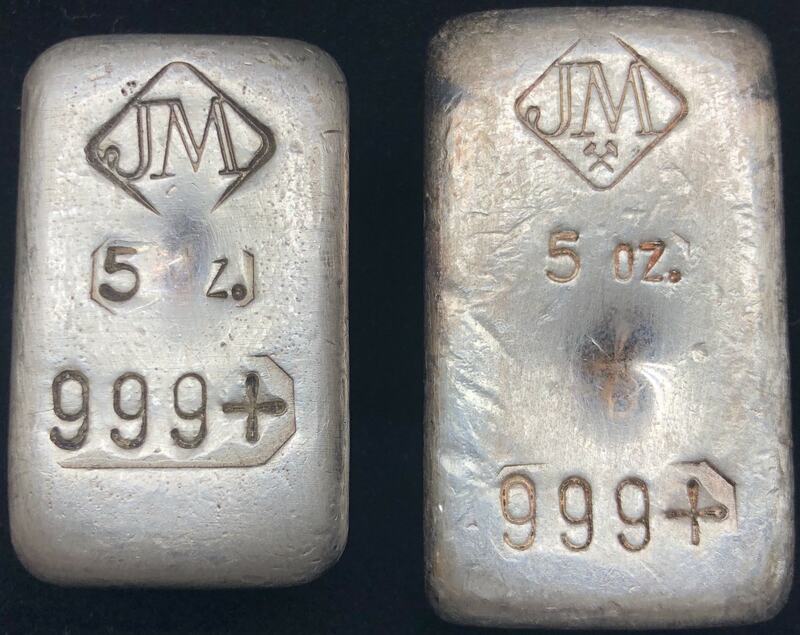 [999+] Cast Finish 5oz example produced by Johnson Matthey, United States. 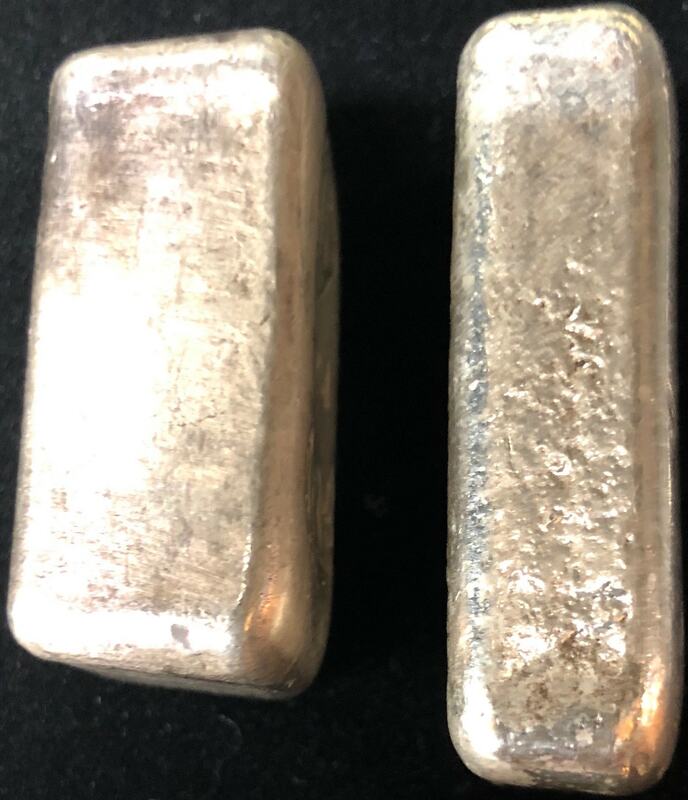 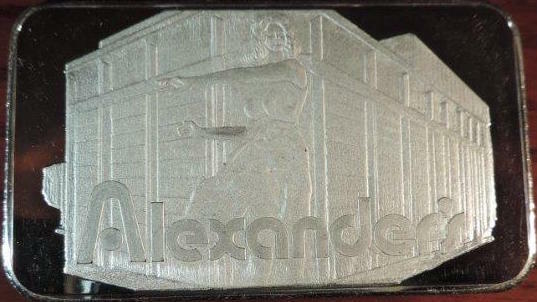 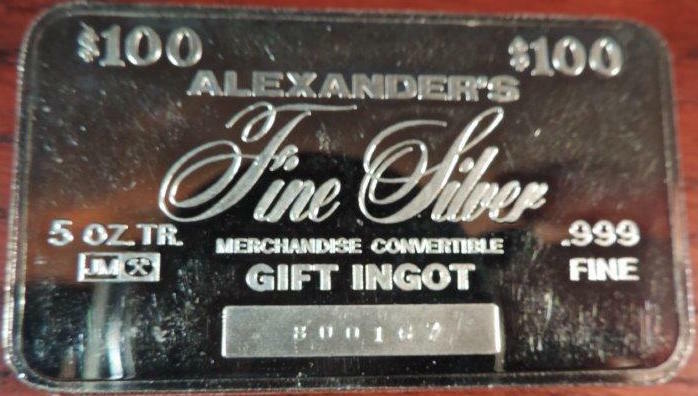 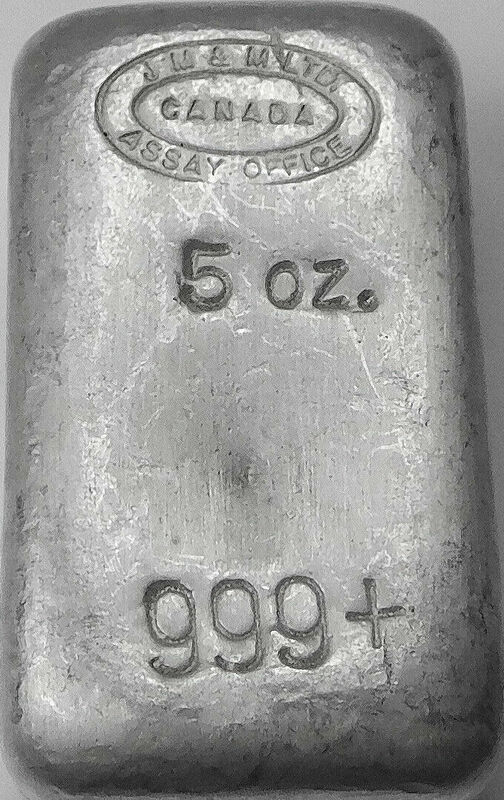 This ingot is thicker and demonstrates a smaller obverse surface area than most 5oz examples, as shown in the photos below. 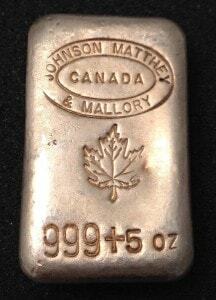 5oz [JOHNSON MATTHEY & MALLORY Oval Logo] [CANADA Inner Oval] [Maple Leaf Logo] [999+] [5 oz.] 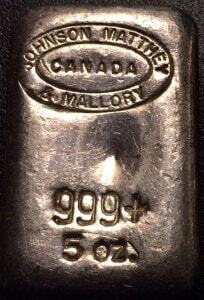 Cast Finish 5oz example produced by Johnson Matthey & Mallory, Canada. 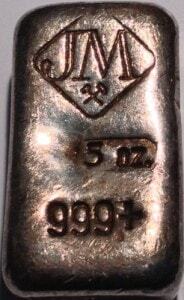 Similar to our examples above though with further variation of weight and purity placement. 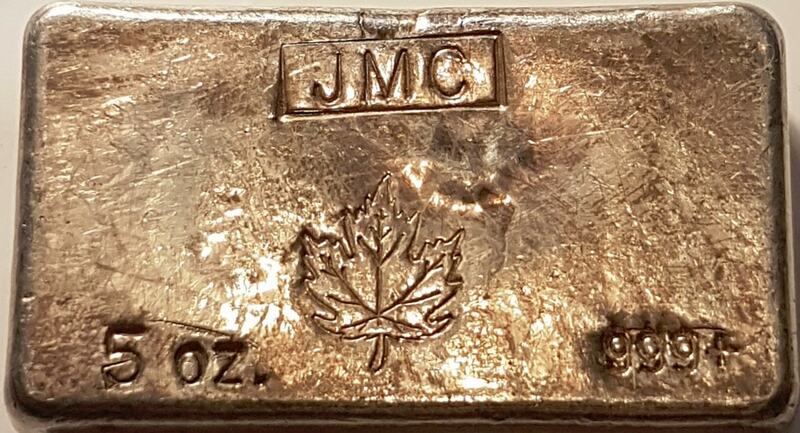 Example also demonstrates Maple Leaf Logo. 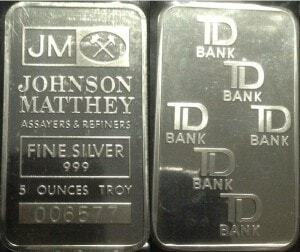 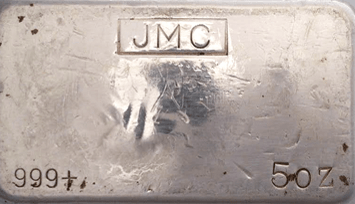 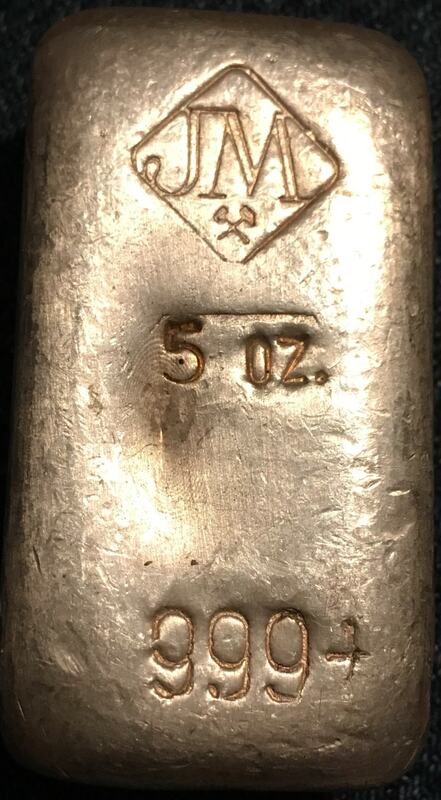 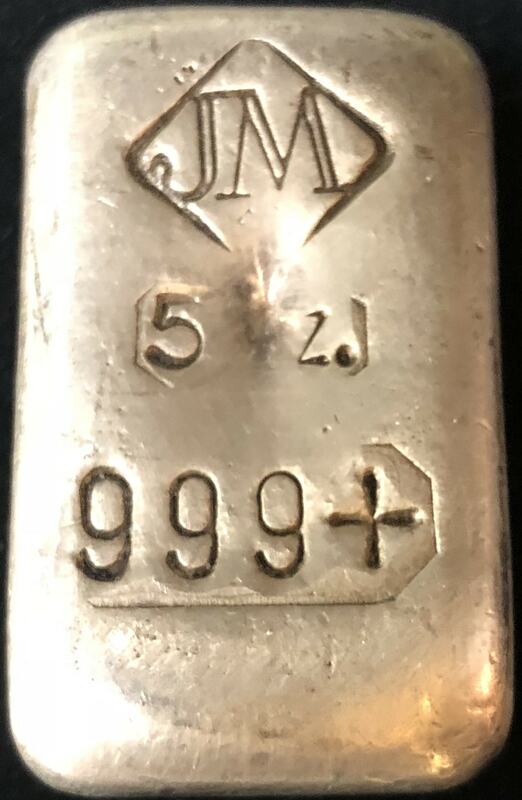 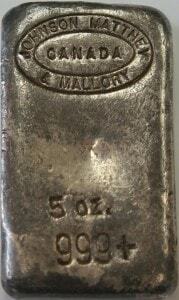 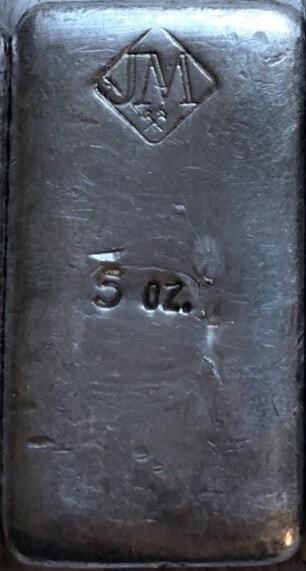 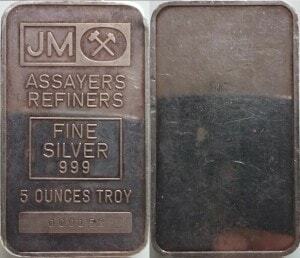 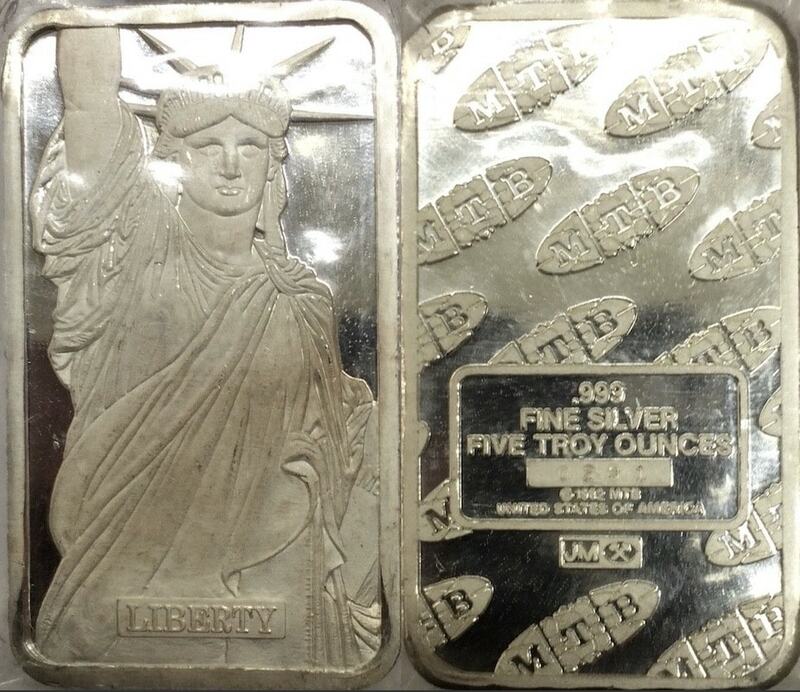 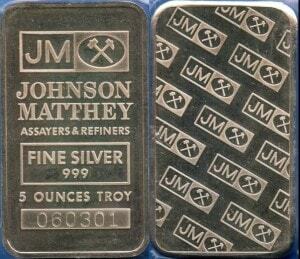 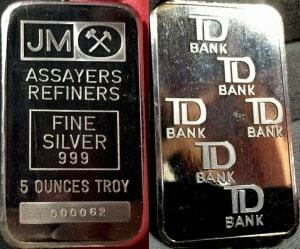 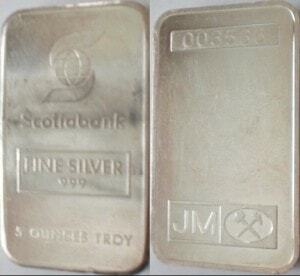 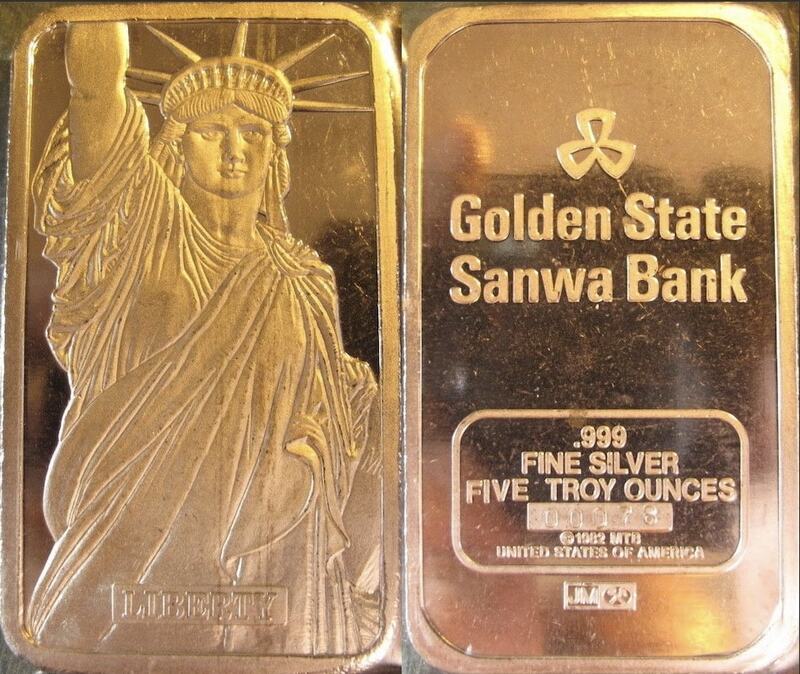 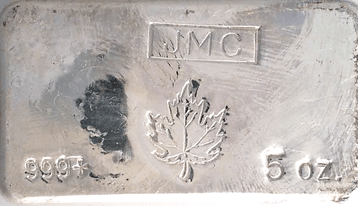 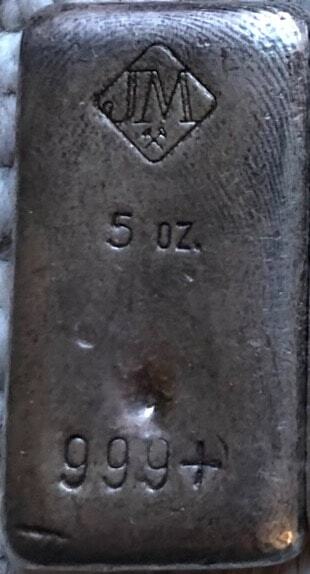 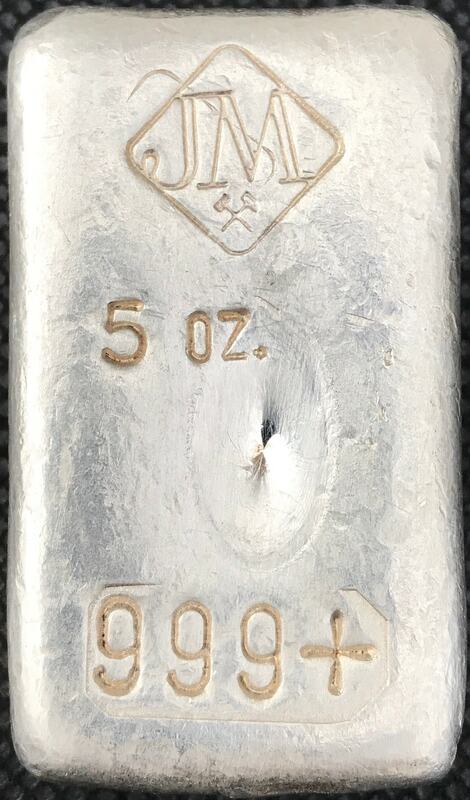 5oz [JM Crossed Hammers Logo] [JOHNSON MATTHEY] [ASSAYERS & REFINERS] [FINE SILVER 999] [5 OUNCES TROY] [Serial Number] [TD BANK Logo Repeated Six Full Times] 5oz example produced by Johnson Matthey, United States, for TD Bank. 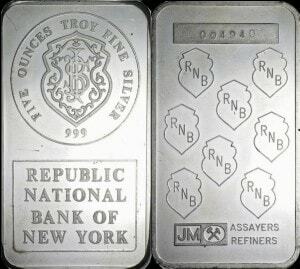 5oz [Circular Logo FIVE OUNCES TROY FINE SILVER Circular Logo with Republic National Bank of New York Inner Logo] [REPUBLIC NATIONAL BANK OF NEW YORK] [Serial Number] [RNB Custom Logo Repeated Eight Full Times] [JM Crossed Hammers Logo] [ASSAYERS REFINERS] 5oz example produced in 1985 by Johnson Matthey, United States, for Republic National Bank of New York.